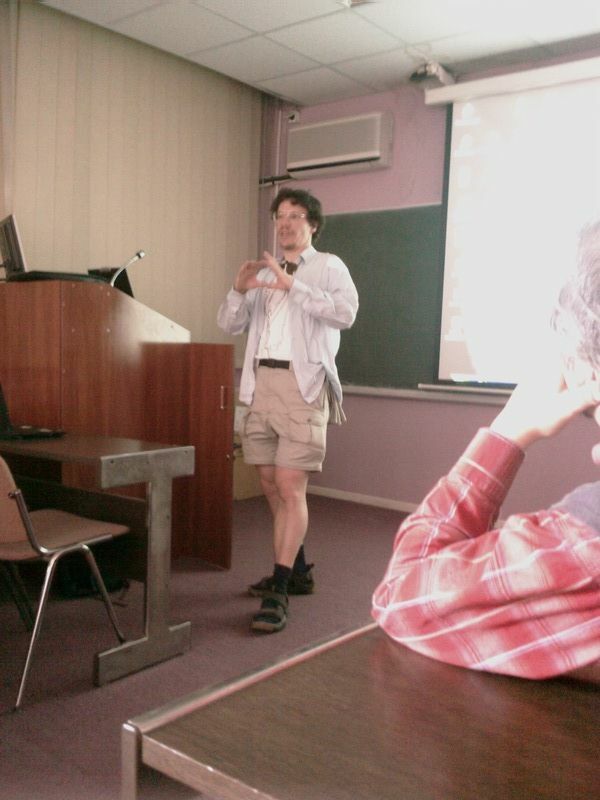 Prof. Wayne Hayes from University of California in Irvine gave a short summary of Solar System formation talks from DDA meeting. This was a very informal seminar in which Prof. Hayes summarized the results of several talks he saw at a conference a few months before. 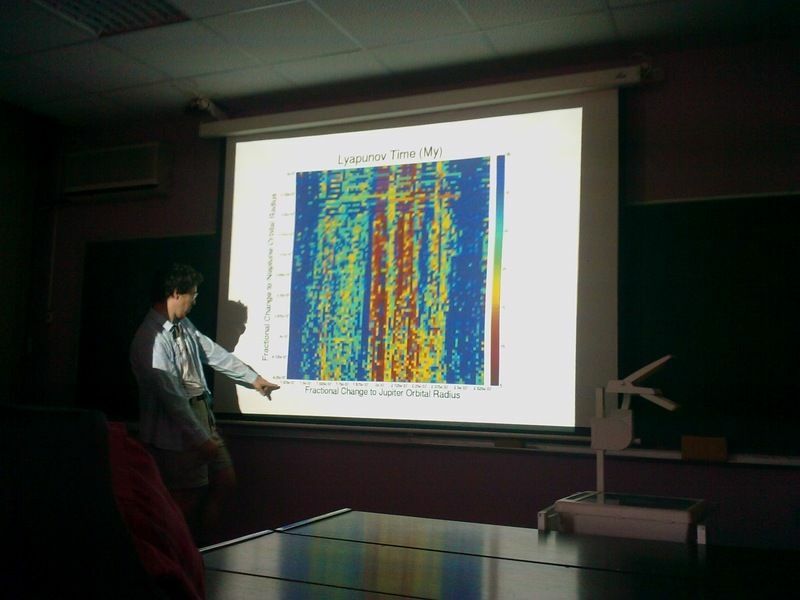 The conference was the "Division of Dynamical Astronomy" (DDA) conference in Boulder, Colorado. 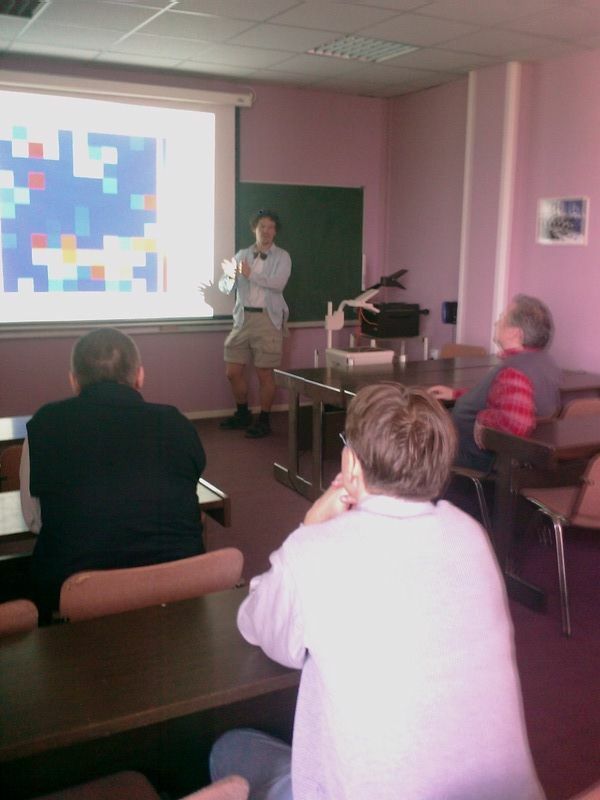 Due to the generosity of several of the presenters, he was able to acquire their presentations, including many movies and simulations of planet formation and Solar System formation.